2. Whip the heavy cream in an electric mixer until stiff peaks form. Gently fold the pudding mixture into the whipped cream until well blended and no streaks of pudding remain. 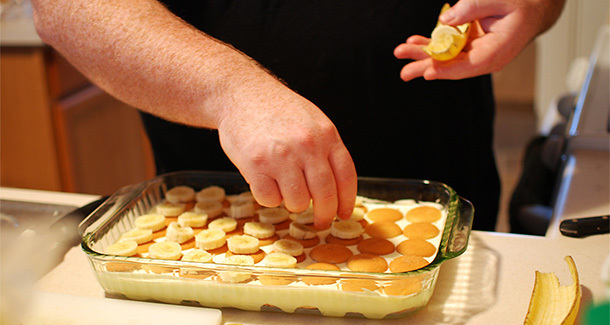 Note: I often assemble the banana pudding in covered containers, making it perfect for gift giving.